I spend a lot of time on Instagram and its become one of my favourite ways to discover new products. Haircare in particular is one area that has become a little costly because of the 'gram. I know we shouldn't judge a book or a shampoo by its cover, but I'm such a sucker for pretty packaging and I know I'm not alone! The proof is in the pudding though and luckily I haven't come across a dud yet. 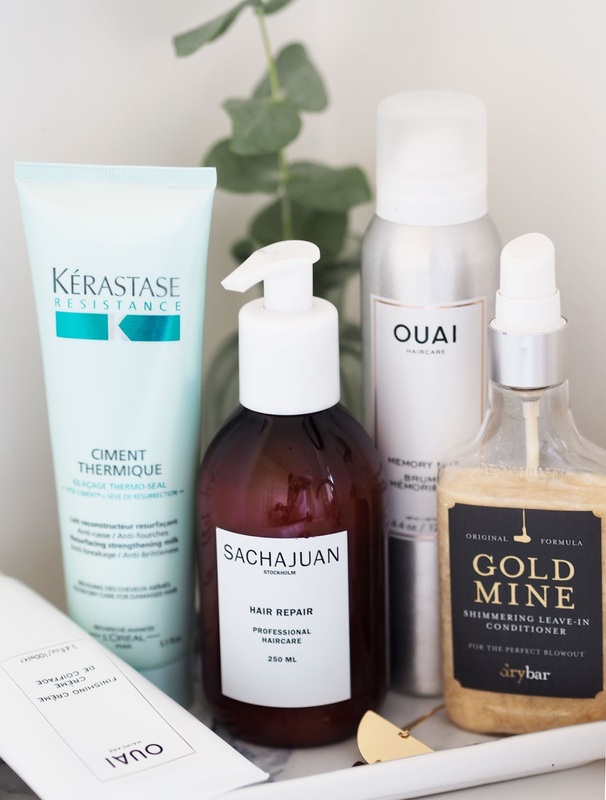 Here's a few of my favourite Instagram worthy haircare finds. Sachajuan is probably the range I've wanted to try the longest since seeing it adorn Kate Lavie and Estee Lalonde's feeds over the years. From the pretty blue shampoo and conditioner to the dark and alluring bottles, I wanted in on this super cool Swedish brand. What better than to start off with the cult Sachajuan Hair Repair*? Piped as a once a week treatment, Sachajuan Hair Repair is infused with the brand's Ocean Silk technology which strengthens tresses with minerals and proteins, adding hydration and shine without weighting it down which is key for my fine hair. Never one to follow instructions to a T I've swapped out usual conditioner completely for this swoon worthy treatment. My natural frizz is gone and my hair feels incredibly soft and silky. Two pumps go a long way and even though I've not been using it sparingly I've hardly made a dent over the last couple of weeks that I've been using it. Nothing is more beautiful than gold, right? American brand Drybar oozes Californian cool-girl hair. The Drybar Gold Mine Leave In Conditioner is spun gold in a bottle and was what first grabbed my attention. I'm a little naughty mentioning this as it's sadly been discontinued, but this is one of a few products in the range that I've tried and they are worth a Sephora order for sure. 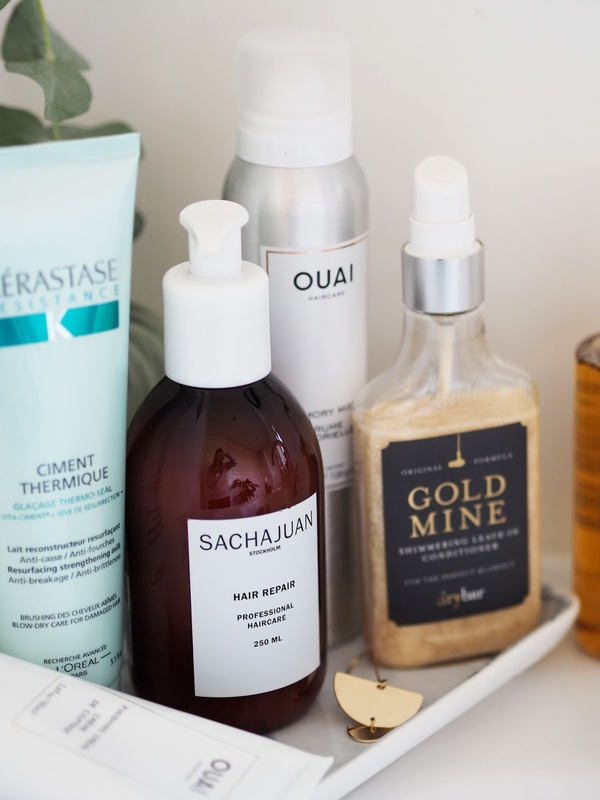 I tend to mix the leave in conditioner into the Drybar 100 Proof Treatment Oil - which sounds pretty cool too doesn't it? The oil helps the conditioner adhere to the hair adding an extra nourishing boost and the golden particles glimmer in the sun and make my copper hair look super shiny. This is such a great combo for dry hair in need of some vibrance. I couldn't do a hair post without mentioning Kerastase. It's been a staple in my bathroom for years now. The Kerastase Resistence Ciment Thermique Resurfacing Reinforcing Milk is a 2-in-1 heat protectant and leave in treatment which makes blow drying a doddle. It smoothes the hair, removes any left over frizz and means that I never need to use hair straighteners any more. Which I'm kinda sad about as I love my copper GHD's! My hair is certainly thankful for less heat though. 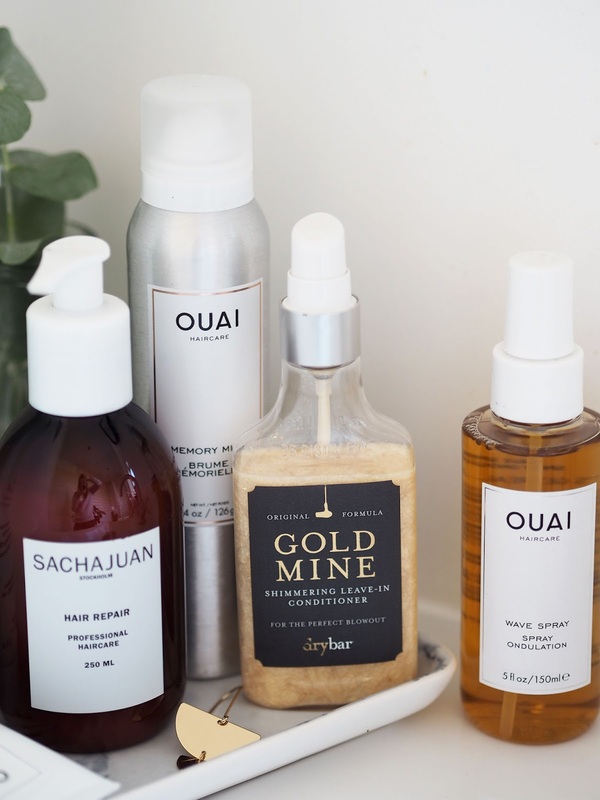 Ouai is the ultimate Instagram worthy haircare brand without a doubt. I'm yet to try any of their shampoos and conditioners, but I can tell you that the styling products are bomb. The new Ouai Memory Mist is quite an interesting one. I love the metal cannister which was designed perfectly for my white bathroom. Sprayed into damp hair after the Kerastase milk, it makes my hair smell amazing (seriously all Ouai products smell divine) and the heat activated technology prolongs my hairstyle which makes getting ready the next day even easier. 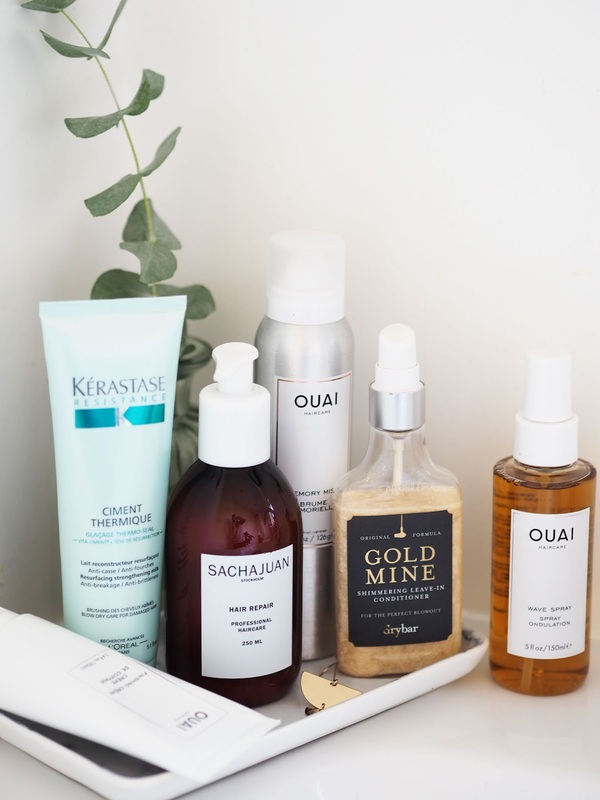 Other notable products from the range include the Ouai Finishing Creme which just makes any hairstyle better by giving a little bit of moisture and lived in texture, and the Ouai Wave Spray is one of very few products that helps hold a wave in my poker straight locks. It's super fine so there's no crunch or stickiness. Hello gorgeous hair. Have you tried any of these Instagram worthy picks? The post Instagram Worthy Haircare appeared first on Lelore.